Kizzy V. Crawford Heath has been employed as Legal Education Officer in the Education and Licensing Division. Prior to joining the Commission, she was a Professor at Wake Technical Community College and North Carolina Wesleyan College. She earned a B.S. in Criminal Justice from Elizabeth City State University, a M.A.Ed. in Education from the University of Phoenix, and a J.D. from North Carolina Central University. She is also a licensed real estate broker in North Carolina. 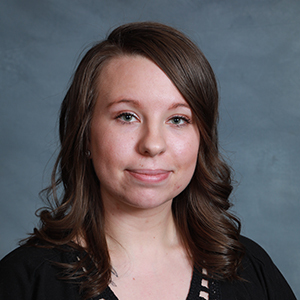 Emily J Bosman has been employed as a License Specialist in the Education and Licensing Division. Prior to joining the Commission, she resided in Holland, Michigan, where she was a customer service Team Lead for a health care services company call center. April M. Conyers has been named Assistant to the Director of the Education and Licensing Division. M. Spier Holloman, Senior Auditor/Investigator, is the recipient of the 2018 ARELLO® Investigator of the Year award. The annual award from ARELLO® (Associationof Real Estate License Law Officials) recognizes the recipient’s investigative skills and accomplishments as reflected by the year’s most outstanding investigation. The North Carolina Real Estate Commission is the recipient of the highly regarded ARELLO® Communication and Education Award for 2018. This annual award recognizes outstanding systems and programs that contribute to the real estate industry, promote public protection, and may be adapted to benefit licensees and consumers in other ARELLO® member jurisdictions. Deborah B. Carpenter, Educator/Examination Officer, is the recipient of the Distinguished Real Estate Instructor (DREI) Leadership Council’s 2018 Mark Barker “Lift Me Up” Award. This annual award recognizes an active DREI who contributed significantly to helping DREI’s and other instructors elevate the level of their professional instruction. DREI is a classroom instructor designation of the national Real Estate Educators Association. 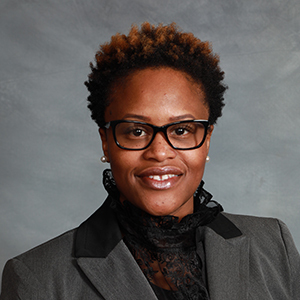 Madison L. Mackenzie, Associate Legal Counsel I, is one of 16 members of the North Carolina Bar Association Leadership Academy Class of 2019. The Academy provides leadership training to 16 young lawyers each year. Criteria for selection includes degree of interest and commitment, aptitude for leadership, and class diversity, including geography, practice environments, personal backgrounds, and experience. Miriam J. Baer, Executive Director, spoke to Fonville Morisey Realty in Cary and to the Raleigh Regional Association of REALTORS®. Robert A. Pachett, Associate Legal Counsel II spoke to the Wake County Property Lawyers Association. M. Spier Holloman, Senior Auditor/Investigator, and Marcia M. Waldron, Auditor, spoke to the North Carolina Vacation Managers Association in Greensboro. Jean A. Wolinski-Hobbs, Auditor/Investigator, spoke to the Roanoke Valley Lake Gaston Board of REALTORS®. Nicholas T. Smith, Consumer Protection Officer, spoke to the Jacksonville Board of REALTORS®. Peter B. Myers, Information Officer, spoke to Engel & Volkers South Charlotte and to the Orange Chatham Association of REALTORS®. Elizabeth W. Penney, then Information Officer, spoke to the Hendersonville Board of REALTORS®. 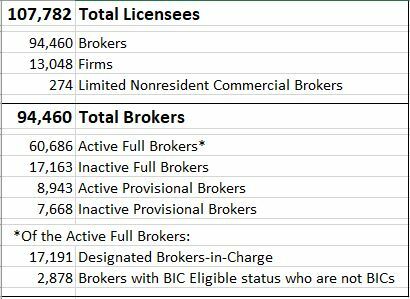 JAMES RUDOLPH ANDREWS (Charlotte) – The Commission accepted the permanent voluntary surrender of the broker license of Mr. Andrews effective February 13, 2019. The Commission dismissed without prejudice allegations that Mr. Andrews violated provisions of the Real Estate License Law and Commission rules. Mr. Andrews neither admitted nor denied misconduct. ROBERT R. HOOVER (Charlotte) – By Consent, the Commission reprimanded Mr. Hoover effective January 31, 2019. The Commission found that Mr. Hoover, qualifying broker of a previously licensed firm, failed to notify the Commission within 10 days of that firm’s dissolution by the North Carolina Office of the Secretary of State. Mr. Hoover was the Trustee of a land trust that was managed by his firm and failed to execute a management agreement with the firm. While Mr. Hoover was acting as broker-in-charge of a property management firm, he did not have access to the firm’s trust accounts and otherwise failed to ensure that they were maintained in compliance with Commission rules. SHAWN THOMAS JOHNSON (Buncombe County) – By Consent, the Commission permanently revoked the broker license of Mr. Johnson effective February 13, 2019. The Commission found that Mr. Johnson’s broker license restricted him from becoming a broker-in-charge or a qualifying broker until June 19, 2022. Mr. Johnson consented to the restrictions on his license. Mr. Johnson operated a property management business for a fee, sometimes under the business entity Stay Asheville Inc. His property management business focused on short-term rentals, specifically using Airbnb as a platform to rent properties. Mr. Johnson failed to obtain a real estate firm license for Stay Ashville Inc., has rented at least nine properties on behalf of others for a fee without entering into a written property management agreement, failed to maintain a trust account to hold the rental proceeds for his owner clients, and failed to keep any trust account records. Instead, Mr. Johnson directed Airbnb to deposit rental proceeds into his personal bank accounts, thus commingling personal money with trust money in these bank accounts. Mr. Johnson failed to account for and disburse trust money to his owner clients. Mr. Johnson rented three properties on Airbnb, each within the Asheville city limits, as short-term rentals without first obtaining a Homestay Permit from the City of Asheville as required under the city’s ordinances. Mr. Johnson failed to execute, maintain, or produce to the Commission’s investigator any records related to his property management operation. Mr. Johnson neither admits nor denies that he modified pre-approval and prequalification letters written for other individuals to use for his own purposes. RAYMOND DEWIRE NEELON (Wilmington) – Following a hearing, the Commission permanently revoked the license of Mr. Neelon, effective January 9, 2019. The Commission found that Mr. Neelon managed residential properties for others and failed to provide the property owner with a copy of the executed management agreement within five days. Mr. Neelon also scheduled repairs to be made to the properties he managed, and deducted those expenses from the owner rental statements, but failed to pay the vendors. Instead, Mr. Neelon converted the entrusted funds to personal use. Mr. Neelon falsely told a mold testing company that payment had already been submitted to them, in order to receive the test results, when in fact no payment had been submitted. Mr. Neelon failed to respond to Commission Letters of Inquiry and failed to notify the Commission that his licensed firm was administratively dissolved by the NC Department of the Secretary of State. POLLY PURNESS-NORRIS (Morehead City) – By Consent, the Commission reprimanded Ms. Purnell-Norris effective February 1, 2019. The Commission found that Ms. Purnell-Norris, acting as broker-in-charge, was the listing agent for a client that, according to the listing agreement, did not authorize Ms. Purnell-Norris or her firm to act as a dual agent. Ms. Purnell-Norris, however, directed a provisional broker under her supervision to act as a designated agent for a buyer for the property Ms. Purnell-Norris listed. Ms. Purnell-Norris failed to disclose material facts about the subject property to potential buyers after she received inspection reports that noted serious defects in the condition of the house and septic system. JOSHUA WAYNE SAMS (Charlotte) – By Consent, the Commission suspended the broker license of Mr. Sams for a period of three months effective February 13, 2019. The Commission found that on February 16, 2018 Mr. Sams pleaded guilty to Level 4 DWI and Level 1 DWI. Mr. Sams was issued 30 months of supervised probation, required to enroll and participate in the STEP program, required to obtain an alcohol assessment, and required to perform 48 hours of community service. Mr. Sams failed to disclose these convictions to the Commission within 60 days of the judgment. Mr. Sams’s supervised probation will become unsupervised at the conclusion of the STEP program in April 2019. Thomas “Tommy” R. Lawing, Jr., is the current Vice Chair of the Commission and was its Chair in 2014-15. A native Charlotteean, he is a Silver Service REALTOR® and Certified Property Manager and is the President of T. R. Lawing Realty, a family-owned property management company serving the Charlotte region since 1957. Tommy is a past president and REALTOR® of the Year of both the N.C. REALTORS® and the Charlotte Regional REALTORS® Association (CRRA). He is a past director of the National Association of REALTORS® (NAR) and was the Federal Political Coordinator to Representative Sue Myrick (NC-09). Active in civic affairs, Tommy has held most of the leadership positions at Hawthorne Lane United Methodist Church, is the immediate past chair of the Board of Directors of Aldersgate Continuing Care Retirement Community (CCRC), is past president of the Charlotte West Rotary, and co-chairs several committees at the Wells Fargo Championship, PGA Championship, Chiquita Classic and World Equestrian Games. Tommy is an Eagle Scout, and he graduated from N.C. State University with a B.A. in Economics. The Commission is considering amendments to eight rules. Additionally, four rules are planned for readoption, without substantive changes, as required under NCGS § 150B-21.3A(c)(2)(g). Text for the proposed rule amendments and readoptions under consideration may be found on the Commission’s website under ‘License Law and Rule Changes.’ Changes to the proposed rule text are reflected by underlining text that will be added and striking through text that will be deleted. The rules have a proposed effective date of July 1, 2019, except for 21 NCAC 58A .0105 and .1902, which have a proposed effective date of July 1, 2020, that is noted in the history note of each rule. The Commission is now accepting public comments on the proposed rules until April 1, 2019. Members of the public may submit comments on any of the proposed rules by contacting the Commission’s Rule-making Coordinator, Melissa Vuotto, or by attending the public hearing on the proposed rules to be held at the Commission’s office, located at 1313 Navaho Drive, Raleigh, North Carolina, on Wednesday, March 13, 2019, beginning at 9:00 a.m. The Commission will review all public comments before reaching their final decision on April 17, 2019. Once the final rule text is approved by the Rules Review Commission, the Commission will publish the approved rules. If you would like to receive notifications of rule-making proceedings, please visit www.ncrec.gov/home/subscribe. BIC’s and Designated Dual Agency Transactions – Room for Conflicts! Brokers have a fiduciary duty to act in the best interests of their clients while also acting within the confines of the Real Estate License Law and Commission rules. In a handful of transactions there are instances when brokers’ fiduciary duties to their clients could appear to conflict with the Law and rules. One of those situations is a designated dual agency transaction involving the broker-in-charge and a broker or provisional broker supervised by that broker-in-charge. According to Rule 58A .0104(i) – (l), in a dual each designated broker is required to act only in the interest of the client they represent and is prohibited from disclosing their client’s purchase price, terms, motivation, or confidential information to the other party. To prevent disclosure of confidential information in designated dual agency transactions, a broker-in-charge should have office procedures and policies in place to maintain the confidentiality of client information. But what happens when the broker-in-charge is one of the designated dual agents? A broker-in-charge is responsible for maintaining all of the firm’s records required to be kept under Rule 58A .0108. The record retention rule requires brokers to provide a copy of, among other things, agency agreements, offers, and any other related transaction documents to the firm within three days of receipt. This means that at any given time a broker-in-charge has access to all of the firm’s records, including documents in an active transaction. If a broker-in-charge has access to the entire firm’s records and confidential information how can the broker-in-charge also be a designated dual agent in a transaction? The best practice is for a broker-in-charge to not represent a party in a designated dual agency situation. This would reduce the chance that a broker-in-charge will violate the Commission rules for either failing to maintain and review transaction records or for learning confidential information about the other party and using (or failing to use) that confidential information to the advantage of their client in a designated dual agency situation. If a broker-in-charge decides to represent a party in a designated dual agency transaction, the broker-in-charge must establish policies and procedures to ensure compliance with the Commission’s rules. The broker-in-charge should designate another broker in the office to collect and review records from the transaction. This will prevent the broker-in-charge who is a designated dual agent from having access to confidential information about the other party in the transaction. It will also provide comfort to the other designated dual agent that they can provide records in compliance with Rule 58A .0108(d) and not have their client’s confidential information shared with the other party in a designated dual agency transaction. Remember also that a broker-in-charge can never be a designated dual agent in a transaction where the other party’s designated agent is a provisional broker under the broker-in-charge’s supervision. A broker-in-charge is expected to fully supervise a provisional broker including reviewing all transaction records. The broker-in-charge must have access to the same information as the provisional broker in order to successfully mentor and train the provisional broker. This duty to supervise the provisional broker cannot be delegated to another. In live polling via text messaging Thursday during the Business Issues Policy Committee at the REALTORS® Conference & Expo in Boston, attendees answered real estate trivia questions such these, as well as gave feedback on who they are and what they’re interested in learning. The vast majority of the room answered correctly that a settlement service is a closing attorney, title company, real estate broker, or mortgage broker; that something of value could be money, discounts, catering, advertising, tips, and lease payments; and a transaction can be considered a referral even if it’s not in writing. Their knowledge encouraged Loretta Salzano, founding partner of the Atlanta-based Franzen and Salzano law firm who works with real estate professionals on how to increase their business while remaining within the confines of the law. She spoke to the group of about 75, offering compliance tips on the Real Estate Settlement and Procedures Act (RESPA), specifically when it comes to co-marketing and advertising.